Three stunning Barbados beaches have been selected in FlightNetwork’s Top 50 Beaches in Central America and the Caribbean! 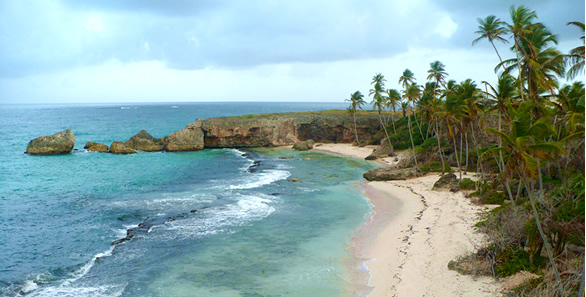 Topping the list for Barbados, and placing at #11 overall, is beautiful Bathsheba beach on the east coast of the island. Set at the heart of a seaside village, this beach is renowned for world class surfing and stunning vistas. Located far from the all-inclusives, restaurants and nightclubs of the bustling west and south coasts it’s a remote escape to the true natural beauty of the island. Visit to see the surfers in action, for long walks on the beach or along the adjoining old train line trail, or to collect beautiful seashells. Next on the list for Barbados is another remote spot – Harrismith beach. Here swaying palm trees match your idyllic vision of a Caribbean paradise. This is a lovely spot for a picnic or just to relax as refreshing island breezes carry you the sounds of the Atlantic Ocean. Due to its remote location it’s best to either rent a car or arrange a taxi to visit Harrismith. 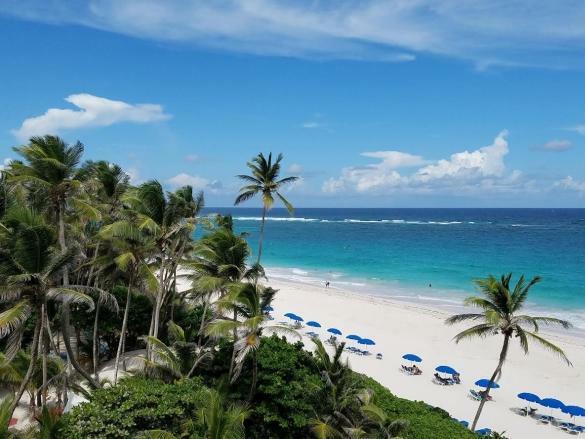 Barbados’ final beach on this impressive list is Crane beach, rated by Lifestyles of the Rich and Famous rated it as “one of the ten best beaches in the world”. At The Crane pink sands are lined by palm trees, as turquoise waters caress the shore. Little wonder that the beach scored 9 out of 10 for Sand and Water Quality in FlightNetwork’s analysis. Cliff jumping and boogie boarding are popular activities here. Visit Crane beach as you explore the island, or opt to stay at the magnificent Crane Resort on the clifftop overlooking the beach for easy everyday access to this amazing spot. Wondering which beach you should visit on your next trip to Barbados? Our handy beach guide leads you to the best choices for you based on sea conditions and beach facilities. We also recommend visiting BarbadosByDrone.com for a birds-eye view of some of the best beaches around the island.